In this tutorial you are going to learn how to create a picture of yourself that looks like one of the characters from the 3D Avatar movie. 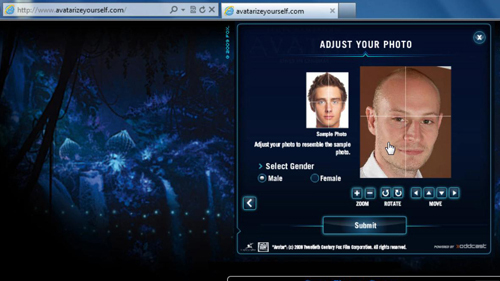 It is worth mentioning that this tutorial is being done in Internet Explorer because the Avatar face generator crashes in Google Chrome. Visit the website “www.avatarizeyourself.com” and on the page that loads click “Skip”. Click “Upload Photo” and then choose where you want to get the photo from, here we are choosing “Upload my photo”. Agree to the terms and then click “Browse for photo”. 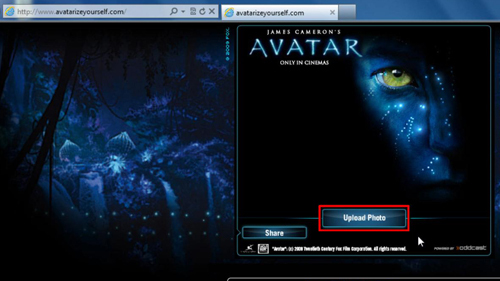 Locate the image on your computer and it will begin to upload, once this has happened align the frames so they fit your image on the next screen, select a gender and then click “Continue”. The image will be processed and once done you will see a moving Avatar image based on your picture and that is how to create a 3D Avatar style image.